Our stunning Onyx wedding rings are as deep, dark black as the semiprecious stone they’re named for. And these beautiful Onyx wedding bands are completely customizable, so we can help you create a black Onyx wedding band that is unique to you and your loved one! 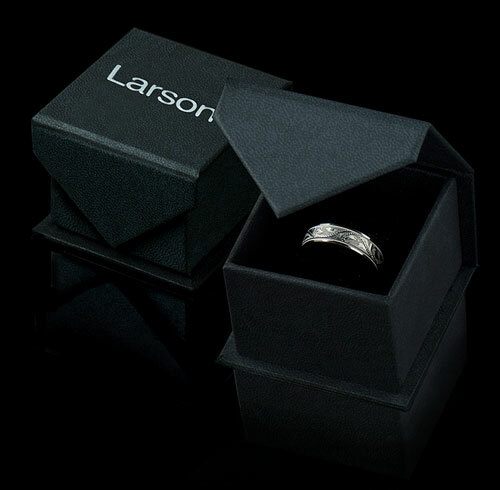 Larson Jewelers offers text engraving, which allows you to put names, famous quotes, significant dates, or anything else you can think of on the inside or outside of the ring. We also offer handwritten engraving. This amplifies the custom factor, as handwriting is inscribed directly onto the Onyx wedding band. Similarly, we can do fingerprint engraving. There really is no limit to the custom engraving we can do at Larson Jewelers! This awesome Onyx wedding band has the look of black tungsten rings but is a unique high-tech combination of vibrant black carbon fiber and beautiful black ceramic. The comfort-fit band is now available in 4 mm, 6 mm,7mm, 8 mm, 10 mm, and 12 mm wide for couples who desire a matching wedding band set. The ring style has beveled edges, and the black ceramic part of the ring is much more scratch-resistant than black tungsten. This is the perfect wedding band to represent your love and devotion. Plus, it comes with our Truly Free Lifetime Sizing and Lifetime Warranty. This is available for all of the tungsten rings we offer. There are no exchange or sizing fees, unlike with other retailers. If you have questions about the black Onyx wedding sets that we offer, please feel free to contact us. We are happy to answer any concerns you may have regarding your order as well as tell you more about the other jewelry we have available for men and women, including tungsten carbide rings and much more. 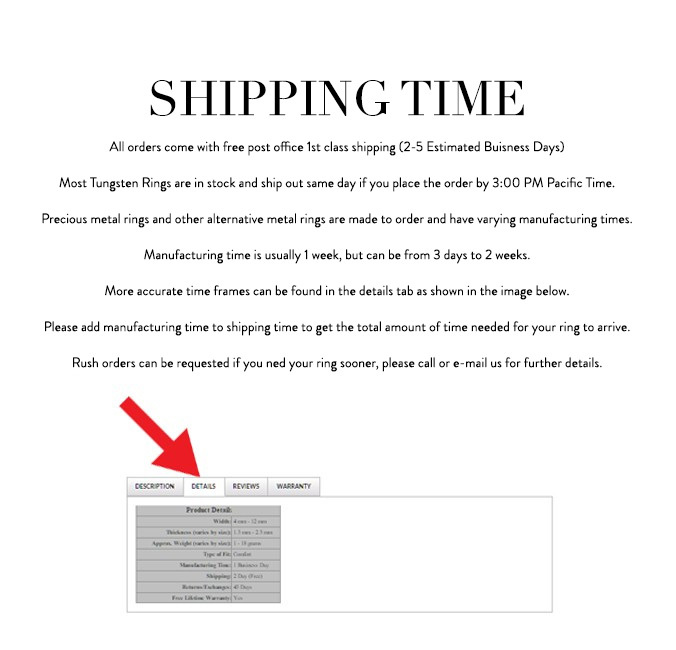 Check back here regularly: We like to offer our rings and bands at special sale pricing. When you shop with Larson Jewelers, you are sure to find some kind of discount. Take a look at these Onyx wedding rings or any of our other distinctive options, then buy online today! Our specialists are standing by if you require any assistance with your purchase.